14 May 2014. MyoKardia Inc., a biopharmaceutical company in South San Francisco, California, began a repository of clinical data on patients with genetic heart disorders. The database, known as Sarcomeric Human Cardiomyopathy Registry, or SHaRe, is a joint project with seven medical centers specializing in these conditions in the U.S., U.K., Netherlands, and Italy. SHaRe aims to collect de-identified clinical and lab data from patients at these institutions with hypertrophic cardiomyopathy or dilated cardiomyopathy, disorders that result from mutations in protein genes of muscles used in heart contractions. With hypertrophic cardiomyopathy, heart muscles become abnormally thick, making it more difficult for the heart to pump blood. 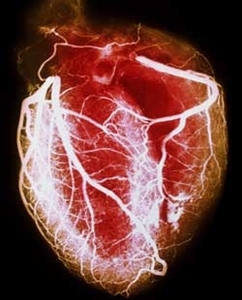 In dilated cardiomyopathy, the heart’s left ventricle — the main pumping chamber — becomes enlarged, resulting in less pumping force than a healthy heart. MyoKardia develops small molecule therapies that address the underlying genetic nature of these disorders, which the company says affects some 800,000 people in the U.S. Both hypertrophic cardiomyopathy and dilated cardiomyopathy, the company notes, can result from varying genetic mutations, and be expressed in different physical traits or conditions. As a result, a database like SHaRe can help clinicians and researchers better understand the interactions among these mutations and traits that can lead to more targeted therapies based on the genetics of individual patients. Hospitals taking part in SHaRe are Brigham and Women’s Hospital in Boston, University of Michigan Medical Center, Stanford University Medical Center, Boston Children’s Hospital, The Heart Hospital at University College London in the U.K., Florence Centre for Cardiomyopathies in Italy, and Erasmus University Medical Center in the Netherlands. The repository already accumulated data on more than 6,800 individuals, both patients and family members. MyoKardia was started in 2012 by four academic researchers in heart muscle biology and cardiovascular genetics from Harvard Medical School, Brigham and Women’s Hospital, and University of Colorado. The company received its initial financing of $38 million from Third Rock Ventures, a life sciences venture capital firm.